A traditional 61 millimeter round coffee pod, as pictured above brews a single cup of coffee utilizing a special pod brewer like the Suncana®, Bunn® My Cafe, Newco® FreshKup, and others. 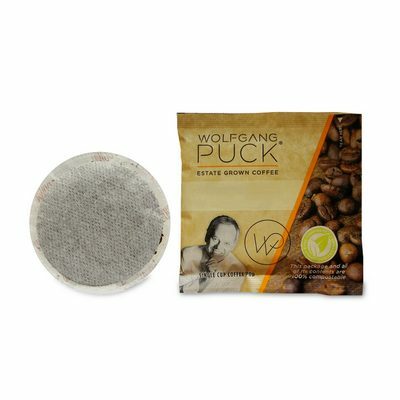 The pod is simply a biodegradable paper pouch with ground coffee sealed inside. Pods are 100 percent compostable. Click here to shop our selection of single cup coffee pods. 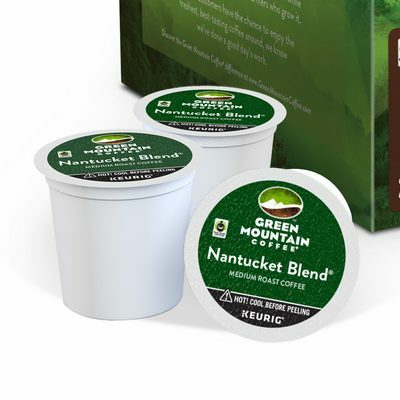 Some confusion has risen in recent years concerning Keurig® K-Cups®. Which are compatible only with Keurig® K-cup® brewers. Initially the k-cup® was specifically referred to only as a "k-cup", but in recent years Keurig® has changed their marketing and now calls them "K-cup® Pods". These "K-cup® Pods" are NOT compatible with traditional coffee pod brewers. Click here to shop our line of Keurig® K-cups®. ABOUT: Coffee pods come in a variety of roasts, flavors and brands and offer you a convenient way to make a fresh single cup of gourmet coffee or tea. HISTORY: Coffee pods have been on the market since 2001. As the concept of single serve coffee became more popular, more companies began to pick up the idea. In the early days there was no standard and manufacturers produced pods in many various sizes, usually to fit a specific brewer which was confusing for the consumer. Today most coffee pods are standard at approximately 61 millimeters. Where pods may vary is the weight, or amount of coffee in each pod. Standard coffee pods contain between 7 - 12 grams of coffee, while tea pods contain less because less tea is required for a good cup. One note, pods described as ”ESE” are espresso pods and are only designed for special espresso brewers. COMPATIBILITY: At CoffeeHouseExpress.com our coffee pods are the standard 61 millimeter in diameter with 9 to 12 grams of coffee inside, the exception is our selection of Senseo® Compatible Soft Pods which contain 7 grams of coffee, the same as Senseo's® own branded pods.